A 14-year-old is “absolutely devastated” after his new bike was robbed by a group of youths over the weekend. 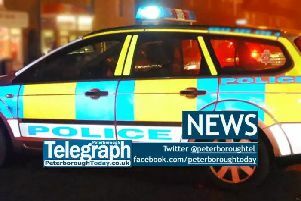 Adam Berridge was cycling along Donaldson Drive, Paston, on Saturday afternoon when he was approached by four older teenagers. Adam from Paston was told to get off his bike which was then taken away from him. The Carrera Hellcat bike has a black frame with lime green graphics and Kenda tyres, with the name written in white on the tyre. A Cambridgeshire police spokeswoman said: “We were called at 5.14pm on Saturday to reports of a robbery in Donaldson Drive, Paston. “The victim was cycling towards Watt Close with two friends at just after 5pm when he was approached by four people who told him to get off his bike. “The boy was not threatened with any violence, however, he believed violence would be used against him if he resisted. He therefore stepped off his bike which was then stolen from him. “Anyone with information about the incident should contact police by calling 101, quoting incident 396 of April 13, or report online at www.cambs.police.uk/report.